© American fashion photographer, Herb Ritts (1952-2002) took many portraits of models, actors and celebrities. This is a shot of X-superman Christopher Reeve (1952- 2004). This picture could of not possibly been taken in 1982 – he wasn’t injured until 1995…….. 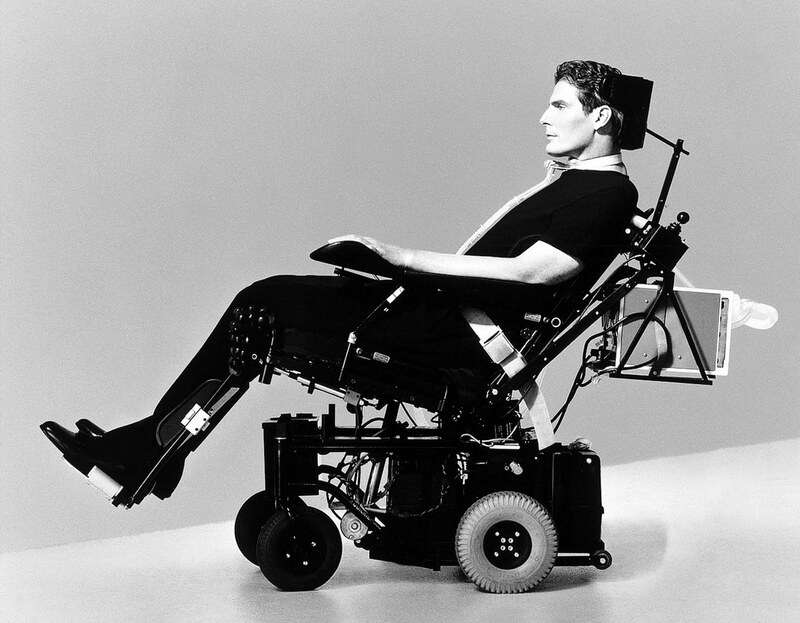 According the website of the photographer (Herb Ritts), he met Christopher Reeve for the first time in 1982. The same interview says the photograph was taken in a studio during a movie shot. It could probably be the shooting of “Above Suspicion” in 1995.